Katniss Everdeen is a fictional character who is both the main character and narrator in the Hunger Games trilogy. In the books and movies, the character of Katniss volunteers to take her younger sister's place when she is chosen to participate in the 74th Hunger Games as a representative from District 12. Katniss proceeds to rise up against The Capitol of Panem and leads a rebellion that ends up ending an oppression that has lasted 74 years. Because of her heroic nature, Katniss Everdeen has become a very popular character among girls and women and even a popular choice for a Halloween costume. Here are some great pieces to use in creating your very own Katniss Everdeen costume that is perfect for Halloween or any costume party. Perfect wig to complete any Katniss Everdeen costume. Dark haired wig with braid pulled off to side, just like Katniss' hairstyle in the movie. 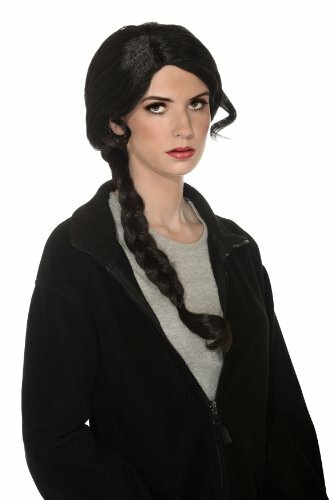 This wig will really make your Katniss ensemble look complete! 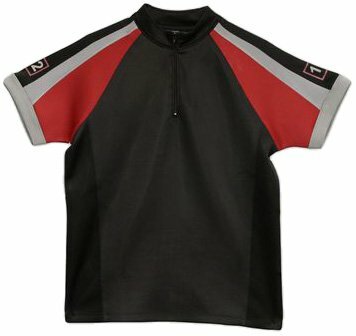 The Hunger Games Movie Prop Replica Training Shirt "District 12"
This short sleeved black shirt with front zipper, and red and white stripes on the sleeves has the number "12" inside a square on each sleeve. Perfect for building your Katniss Everdeen costume. Red and white pattern continues onto the back of the shirt, along with another number "12" in the center of the back of the shirt. Anyone who wants to portray Katniss Everdeen needs the black jacket seen in the movies. 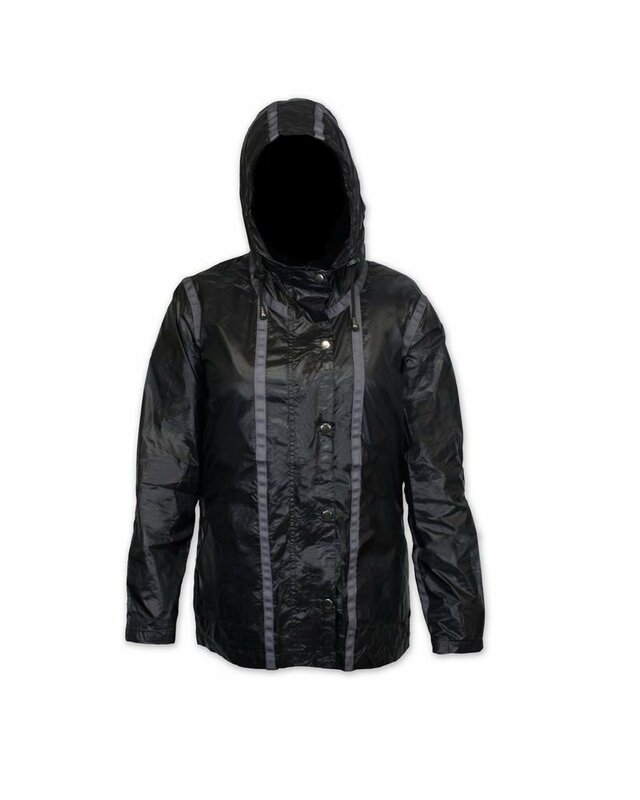 This is a replica of the arena jacket and is black with hood and both zipper and button closures. Light gray stripes run down either side of zipper in jacket front,on shoulder seams, around the neck, and on hood. 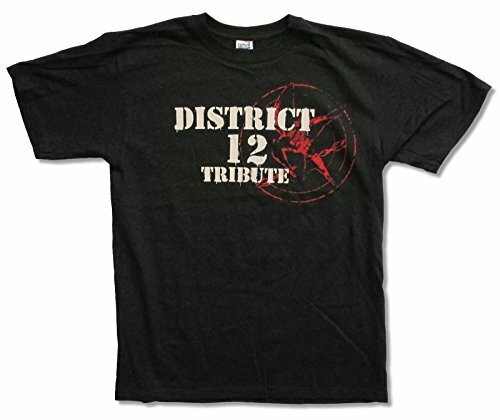 Short sleeved black tee shirt has District 12 Tribute in white lettering on front, along with red Mockingjay logo. 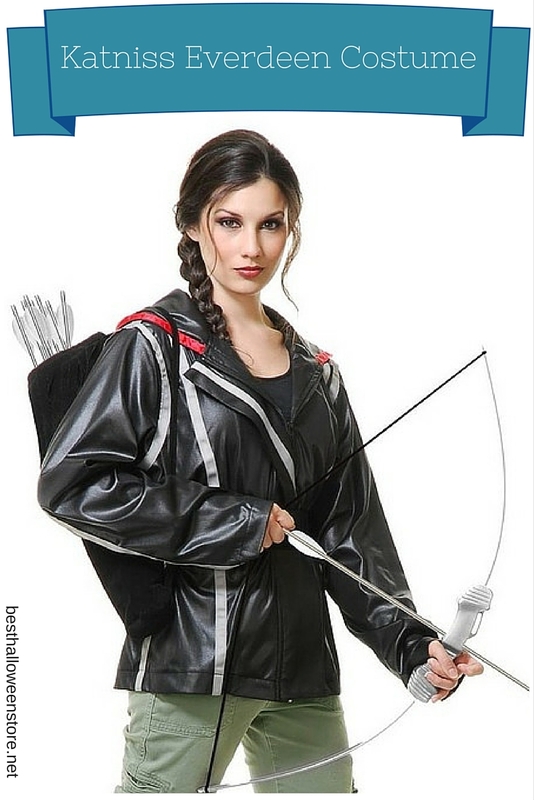 Perfect for wearing under an archer huntress jacket in your costumed role as Katniss Everdeen. Add this accessory to complete any Katniss Everdeen Halloween costume. Features circular silver pendant with Mockingjay bird and arrow. Pendant hangs from black leather cord. No Katniss Everdeen costume would be complete without a bow and arrow set. 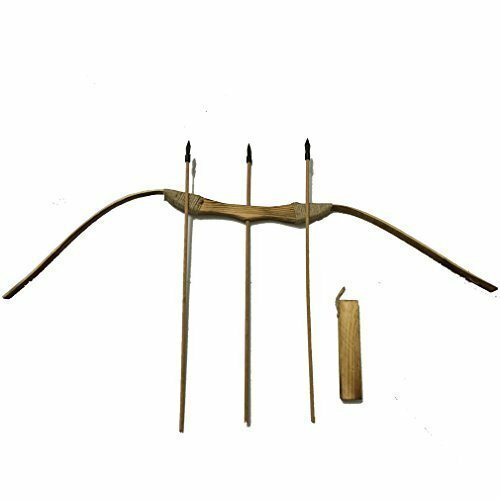 This 40 inch bow with three 21 inch arrows not only makes the costume, but can be used as a learning archery set for a youth after you no longer need it for the costume. 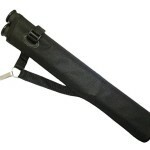 This arrow quiver is a relatively inexpensive accessory that will really pull your Katniss look together. 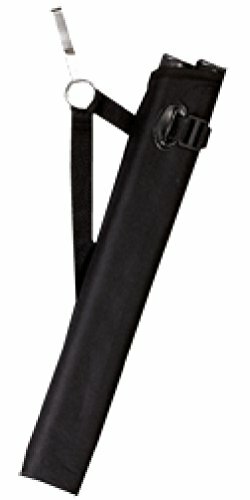 Attach it to your belt and use it to store your arrows for the evening. Product can be used for actual archery arrows, so when you're done using your Halloween costume, you could give it to a friend or family member who enjoys archery. 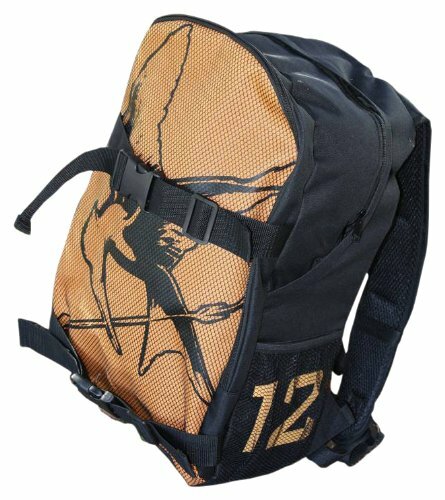 This black and orange 100% polyester backpack features the Mockingjay logo and the number "12" on each side.Full sized backpack that also has a padded laptop sleeve in main zippered area. 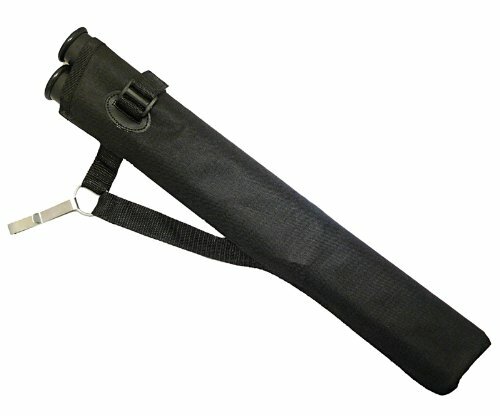 Can be used for actual backpack after it is no longer needed as a costume accessory. These pants will really add to the authenticity of your Katniss Everdeen look. 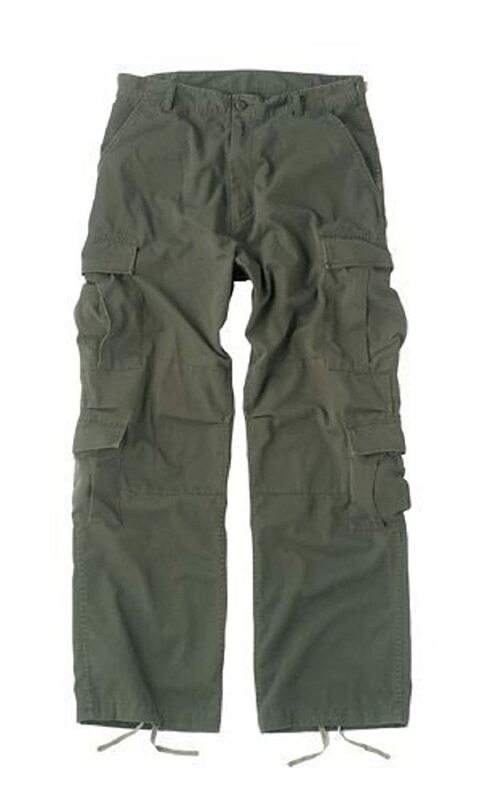 Pants feature eight pockets, zipper fly, drawstring bottoms, two waist tabs, and reinforced seat and knees. These pants really fit in with the pant styles worn in The Hunger Games. This attractive boot will complete any Katniss Everdeen Halloween costume. They are available in several color choices to coordinate with the color of your pants, etc. 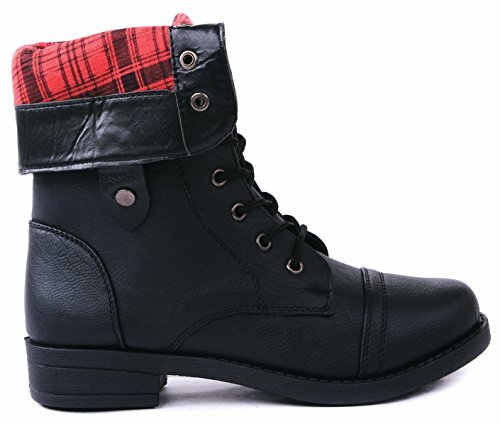 Really cute boots are very fashionable and you can continue to wear them long after your Halloween or costume party. 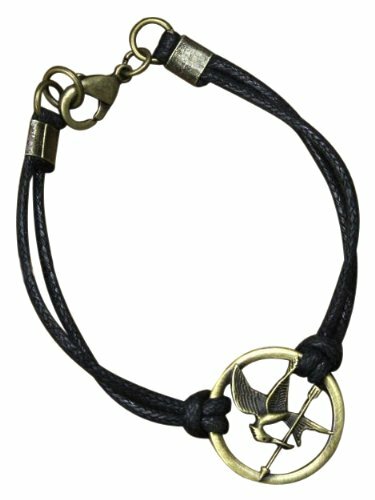 In addition to the necklace, accessorize with this attractive Hunger Games bracelet. Features doubled black cord and silver colored metal Mockingjay pendant in the middle. 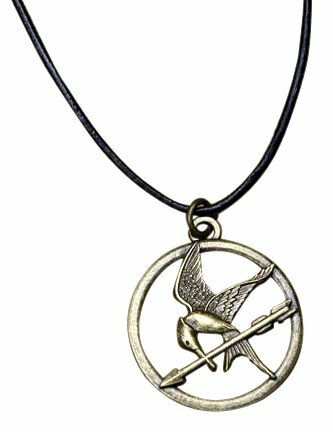 Circular pendant has Mockingjay bird with an arrow in beak. Bracelet has a clasp closure and will really add something special to your Katniss costume.